It is hard to get exposure and achieve name recognition when there are only 20 homes in the entire subdivision. However, that’s probably the way the residents of Wellington Estates in Chandler want it! 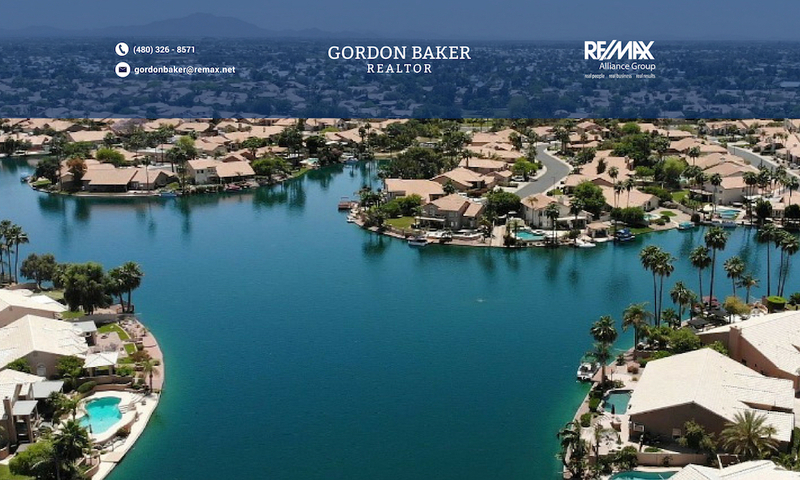 This quiet gated luxury lake community features 20 custom homes and 8 of them are on waterfront lots. The smallest lot size is over 15,000 sq.ft. (1/3 acre) and the homes range in size from 2,900 to 4,900 square feet. Each waterfont home in Wellington Estates has a gate that leads from the backyard to a greenbelt that surrounds the lake. To the east of the lake is a walking and jogging path that runs along a small SRP canal that leads to Gila Springs Park less than 1/2 a mile away. The park is also situated next to a lake. Even on a hot Saturday afternoon there were nearby residents walking their dogs and walking along the trail. One of the first things you notice walking along the trail is the mature green landscaping that is common throughout the area. The custom homes built in Wellington Estates range were built between 1990 and 1997, and unlike many lake subdivisions each home has it’s own unique character and well manicured landscaping that you would expect in a luxury home subdivision. The lots range in size from 15,000 – 20,000 square feet. A distinct advantage of this luxury Chandler neighborhood is the proximity to freeways and downtown Phoenix and the airport. Wellington Estates is less than 2 miles to the east of I-10, and only 2.5 miles west of the 101 freeway. The Chandler Fashion Mall is a short 4 miles away. Even though Wellington Estates residents live in Chandler they are part of the Kyrene Unified School District for elemenatary and Jr. high. The elementary school is Kyrene de la Mirada, the Jr. High School is Kyrene del Pueblo, The high school, Corona del Sol belongs to the Tempe Union School District. Corona del Sol High School has received very good ratings by many websites, such as GreatSchools and Schooldigger. Check below for available homes for sale in Wellington Estates. Since there are only 20 houses in this lake community, it is possible that there are no active listings. I will be glad to notify you immediately when something comes available. For more information on Wellington Estates Custom Luxury homes or any other lake community homes, please don’t hesitate to call or e-mail me for additional details.